Ginseng is among the most popular ingredients in herbal and traditional medicine. It is derived from eleven species of plants and has been used in Asia, Europe, and North America for centuries for a variety of medical conditions. It is a common ingredient in nutritional supplements, including memory enhancing supplements. You can find information about supplements containing this ingredient at Brain Enhancement Advisor. There are two main types of ginseng: American ginseng and Asian or Korean ginseng, which is also known as Panax ginseng. Research has shown that the different types of ginseng offer different health benefits. 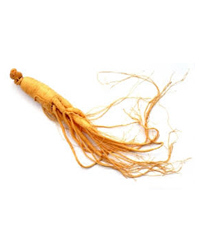 Generally, the Asian ginseng is more powerful and stimulating than American ginseng. Using the right type of ginseng for a specific problem is essential to get the desired results. There is some evidence that shows that ginseng can offer improvements in memory, focus, concentration, and learning. Studies have been done on ginseng alone and this ingredient combined with ginkgo biloba and the early results are encouraging. Additionally, users taking supplements with this ingredient for memory have reported results in better clarity, focus, and memory. In addition to enhancing cognitive function and memory, ginseng offers a variety of other benefits. It is used to treat a wide range of conditions, such as heart disease, fatigue, high blood pressure, cancer, erectile dysfunction, menopausal symptoms, and other conditions. In addition, it has been shown to offer benefits for boosting immune system function. There is not one standard dose for ginseng for memory or other health conditions. It is not available in natural food sources, only in the form of extracts and supplements. The dose varies, depending on the condition, individual, and the quality of the ingredients in any supplement. The side effects of ginseng may include headaches, nausea, restlessness, trouble sleeping, and an increased heart rate. If you are looking for supplements that contain ginseng to enhance your memory, you can find the information you need to make the best decision for your health at Brain Enhancement Advisor. We have product reviews of supplements for improving memory and concentration. In addition, the comparison chart on our website provides information in an easy to read chart, so you can compare the effectiveness of the top rated supplements.